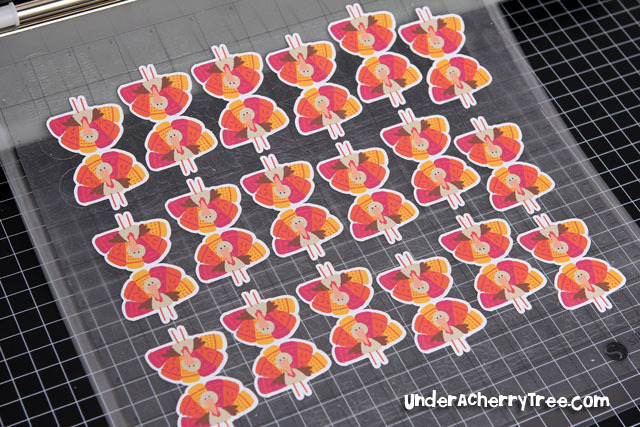 Under A Cherry Tree: the Silhouette Cameo Review 3: How to Print-and-Cut with Silhouette Studio (or How to make cupcake toppers). 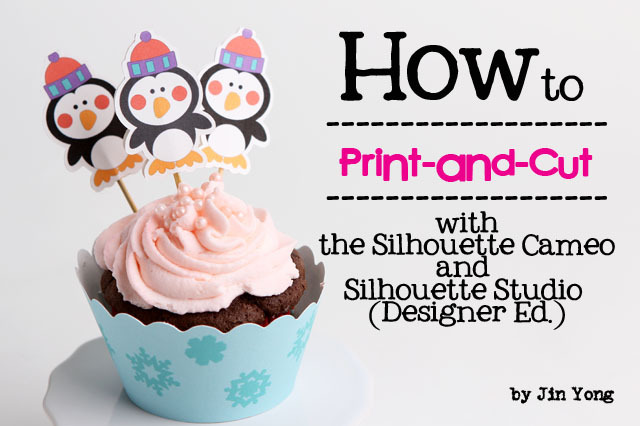 the Silhouette Cameo Review 3: How to Print-and-Cut with Silhouette Studio (or How to make cupcake toppers). My friend, Judy is a baker extraordinaire. 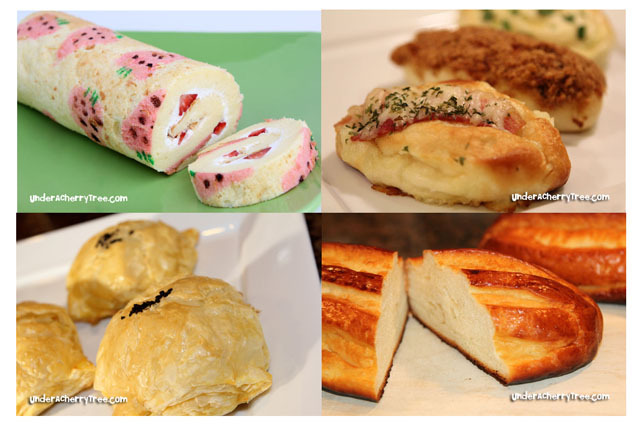 She bakes the best Asian pastries, and the tastiest breads. Her homemade cakes are so light and moist that every bite feels like a taste of heaven. Some of Judy's baked goodies. Super yummy! Judy came by my home the other day and surprised us with a tray of her cupcakes. 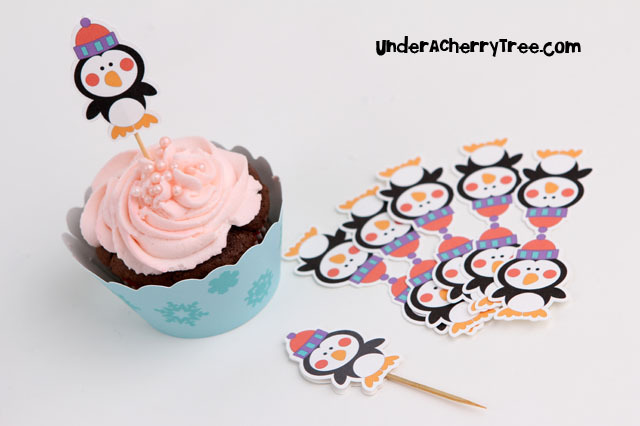 As I stood there stuffing my face with one of her treats, I couldn't help but notice the cupcake toppers. As soon as I found out that she had paid quite a bit for these toppers, I decided to make her some using my Silhouette cutter. 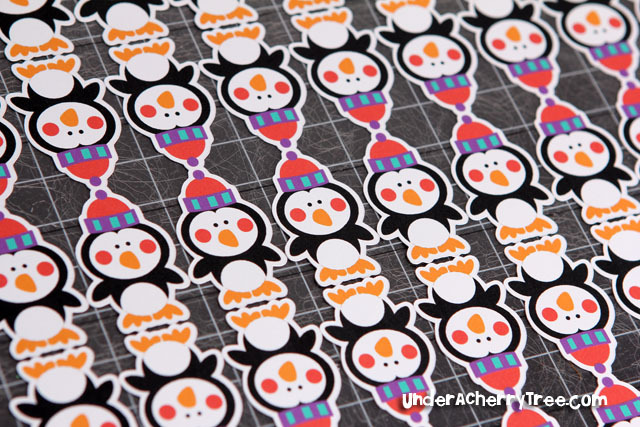 I showed Judy some Lettering Delights graphic sets but she really liked the penguin from the Sew Snowy Stitchy Cut Its. I decided I would try to print-and-cut with a SVG instead. As I mentioned in yesterday's post, I had to make a minor fix to the penguin svg from that same set to make it import correctly into the Silhouette Studio program. If you had missed that info, please click HERE to read about it. - Duplicate, Flip Vertically, and Weld the two shadow layers together. - Fill the virtual mat with as many of the toppers as possible while staying within the cut zone. You can use the Fill Page button or fill it using other Replicate methods. 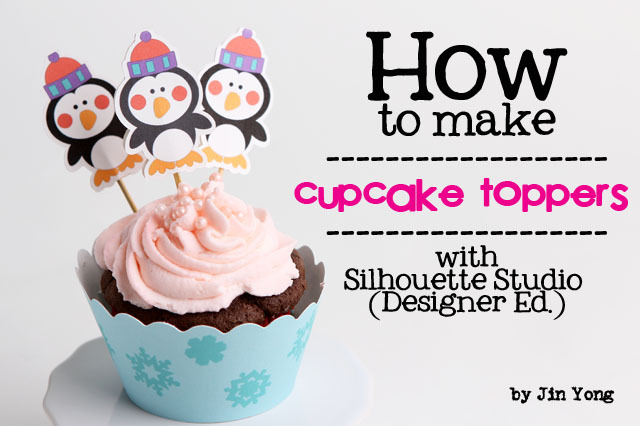 - Click on the Send to Silhouette button and follow the instructions on the screen to Print-and-Cut. 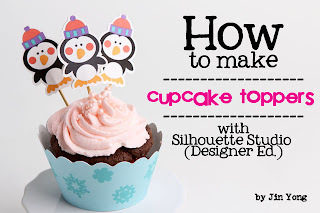 Here is the video tutorial where I will show how I used the Silhouette Cameo with the Silhouette Studio Designer Edition to print-and-cut 27 cupcake toppers. The printer that I had used for this tutorial is the Canon PIXMA Pro9000 Mark II Inkjet Photo Printer. In the video, I will demonstrate how I used the Offset tool to create a shadow layer and the Line Color tool to change the color of an outline. I will also show how I used the Replicate, Flip, and Weld tools. Most of all, you will watch me use the print-and-cut feature of the Silhouette Studio program with the Silhouette Cameo. As promised in the video, here are some pictures of the cuts outs. This is the print-out before it was loaded into the Silhouette Cameo. This is how the cutout page looks like. Look! No grey outline at all! 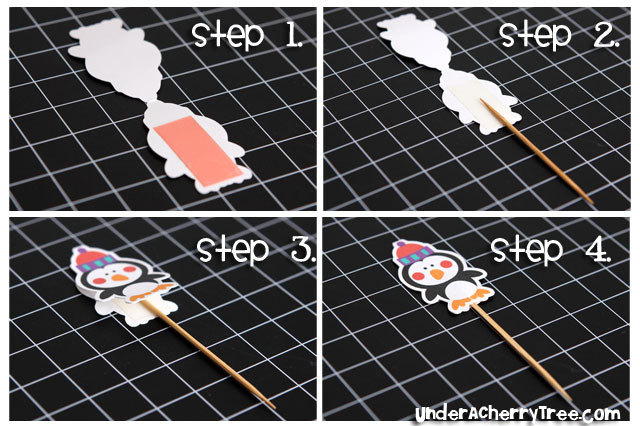 Once you have your cutouts, adhere a strip of sticky tape on one side of the penguin, place a toothpick on the sticky tape and fold down the other side. 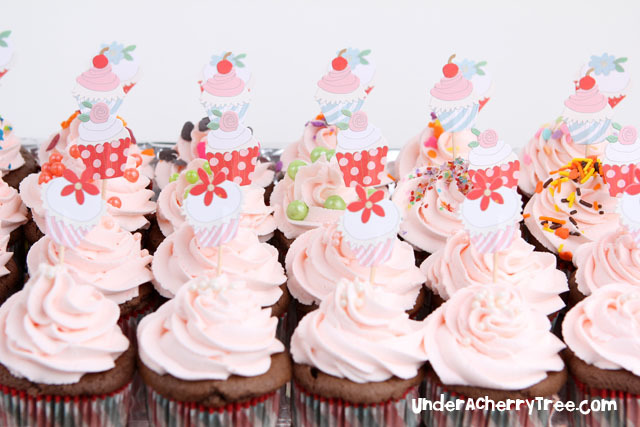 These are a few of the dressed up cupcakes. Don't they look pretty in their new "outfits"? 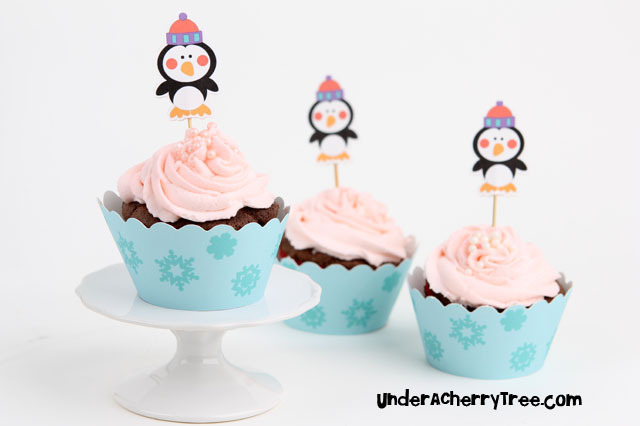 If I made the toppers bigger, they could even be notecards. 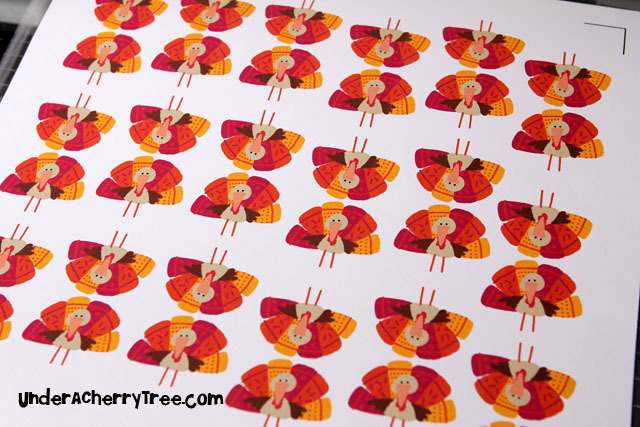 I had so much fun with these toppers, I made a couple more with the turkey graphic from the LD Thanksgiving Art graphic set. 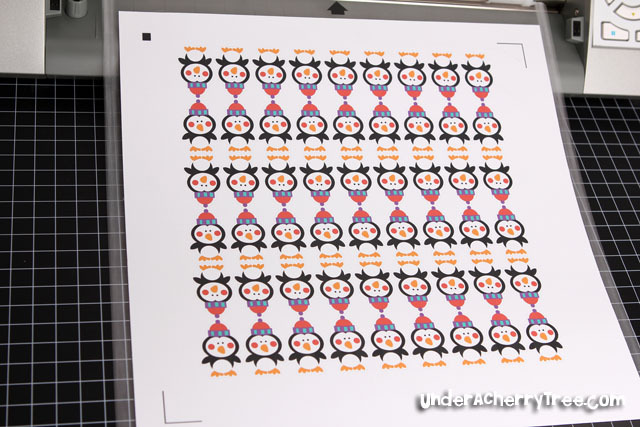 To print-and-cut a graphic using the Silhouette Cameo, the image has to be traced first. I have already posted a tutorial on that subject previously. Although that was written for use with the Silhouette SD, the concept is the same. If you have not seen that tutorial, you can find the post HERE. 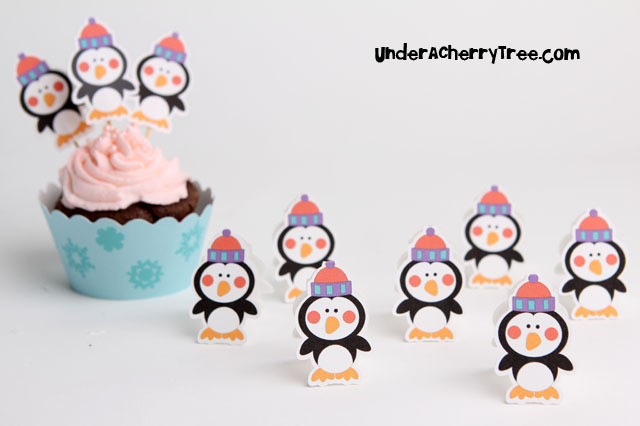 Jin, I love the new cake toppers and thank you so much for the tutorial! Btw, your friend is sooo talented in her baking. I can't believe the detail in the strawberry roll. Perhaps she needs to have a blog and video on how she does her work. Thanks for sharing, yum! Thanks for the great tut. I don't have the Cameo, but this works perfectly in the SD also, just can't cut as many. Also I had to use the trace feature as I haven't purchased the upgrade software. I am cutting machine poor. With an SD and a BC Cougar. So not sure that I want the Cameo or not. But, your tuts are great!!!! 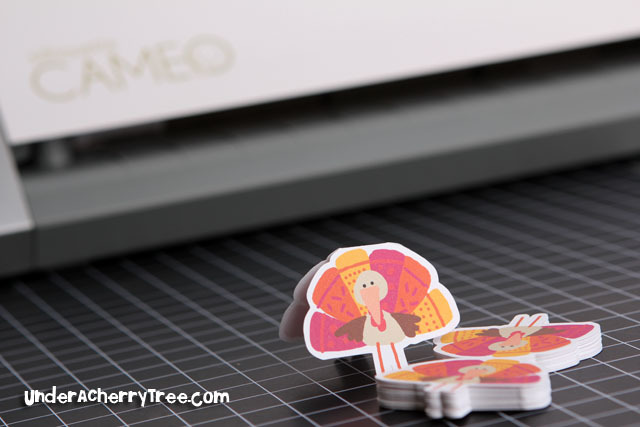 I am in Turkey Heaven, I have used that cut Thanksgiving Art Set to Death!!!! For the last 2 years, LOL. Thanks for all the hard work you do to educate all of us!!! Yet again, completely inspired! 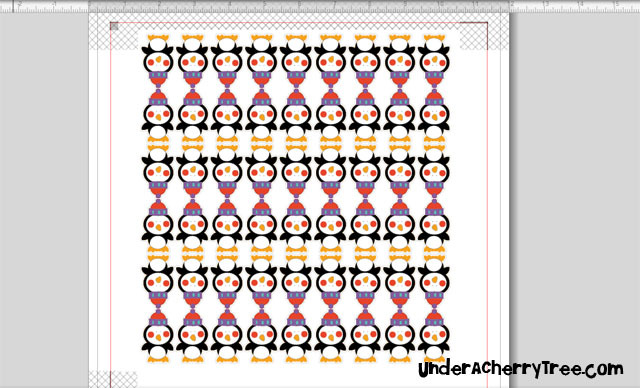 And what do you mean, TOO MANY PENGUINS?! No such thing! lol! great tutorial!!! love your blog! 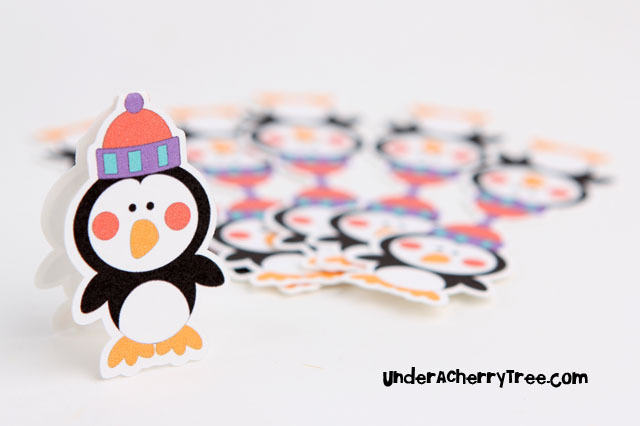 what brand/type of white cardstock are you printing your penguins on? Own a Cricut Expression but you really have me wanting a silhouette Cameo because I have a lot of LD images and MTC software. 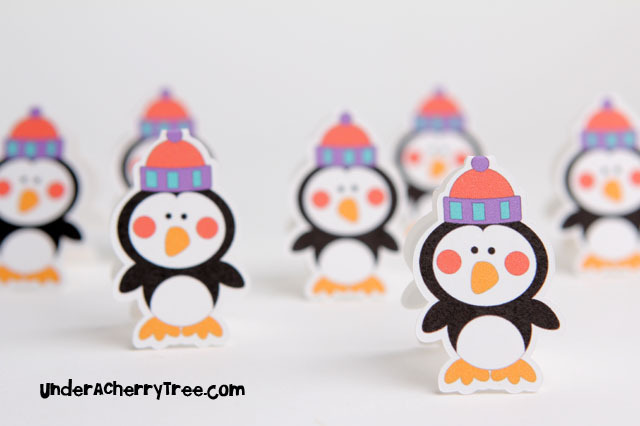 I love these toppers - so cute! I just got my Cameo and just had to try to make my own toppers. I tried this tutorial with a jpeg image but the 'offset' feature didn't work properly, the same thing happened with the images that came loaded into my Studio library. Does the offset feature work for jpegs/pngs or am I needing to upgrade to the Designer Studio? Much thanks! I love your reviews, but got me thinking again on which cutter to buy i was first thinking on buying a Boss kut but after your review it got me thinking that i dont want to waist time on a machine is going to take time to get used, it will be my first machine but i am going to be using it a lot to cut foam and felt which a lot of cutters dont cut, so i am asking if you knew what machine would be able to that. thanks! Thank you so much for your tutorials. They are really helping me a lot. Just a quick question. What Printer do you have? Hi Jin, have been a fan of yours for over a year or so now... just wanted to let you know that I have learned pretty much everything about the silhouette from your tutorials. You are awesome! Also wanted to let you know that I did mention you in one of my recent blog posts! I would love if you visited my little craft blog! Keep those amazing tutorials and ideas coming, you are truly inspirational! Just found you as I was looking to purchase a Silhouette Cameo or a Black Cougar. You have really inspired me and have finally found a source of help and inspiration. Thank you so much. Only really want to start printing and cutting out images from cd roms as I am a beginner. What machine would you recommend as I would like in the future be more creative. LD Wild Wednesday: Riddle Me This! Silhouette store 40% off coupon! Of Leavenworth, LD, and Michaels. Now available: Zing, MTC User Manual!